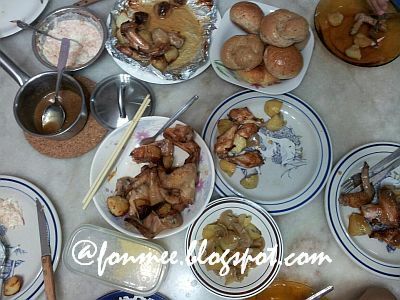 Our Christmas eve dinner in my sister’s place where we’ve cooked up some roasted chicken wings and potatoes. 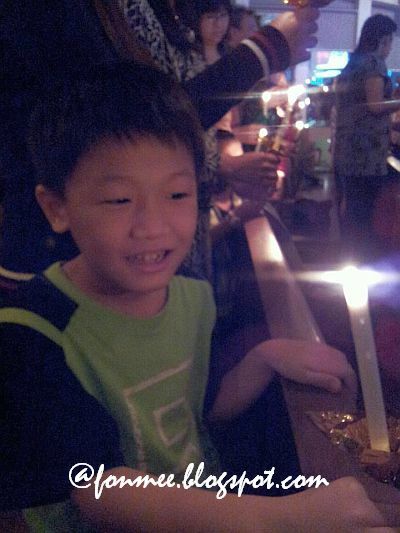 Lighting up of candles in the church during the Christmas eve service. 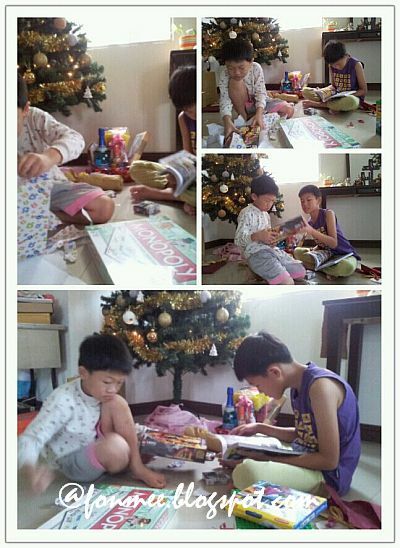 One activity that the boys have been waiting for – opening of gifts. Here.. all those pictures showed that Calvin is so love the Chinese comic book that I got for them, till he started reading right away. So, how was your Christmas? All those cleaning has been done? 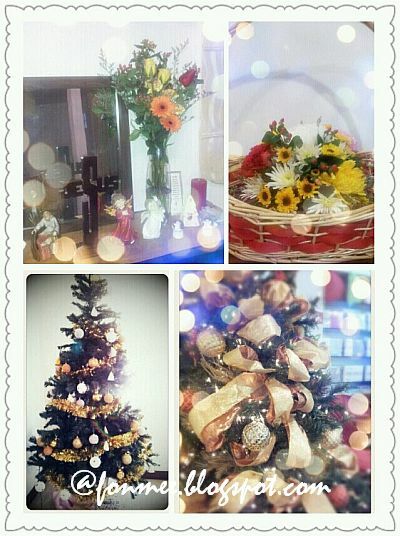 Today is boxing day.. I wonder what am I going to box away. Definitely those old newspapers, really need to get rid of them from the house.